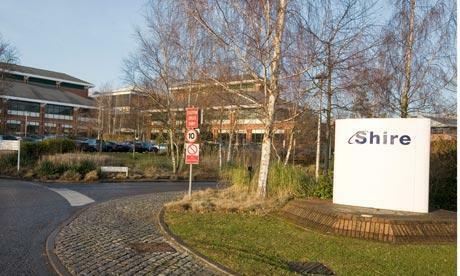 Rumours are growing that Shire will be cutting dozens of research posts at its R&D centre in Basingstoke, Hampshire. This is according to a source speaking to the Financial Times, who says the Irish-based firm is poised to announce a restructuring programme that will include cutting dozens of research jobs at its headquarters in Basingstoke. The company’s board has reportedly been discussing ‘substantial cuts’ among its 170 research scientists in the Hampshire town, and a shift in its Swiss office from Nyon to Zug and a refocussing of US operations close to Boston. In all the Basingstoke unit employs around 500 staff and is also where the company was founded more than 30 years ago. The firm was not immediately available for comment. If confirmed, this news comes in the same week that Novartis announced it was looking to shut the remnants of its research site in Horsham, along with some 400 jobs. The site in West Sussex is just 50 miles east of Basingstoke, making November a tough month for pharma workers in the southern counties. This also comes just one day after the ABPI and the UK government agreed a new drug pricing deal that will see the growth of the NHS medicines bill curbed for the next five years. There has been speculation that these events may be linked - that the firms are partially pulling out of the UK as a result of these new growth restrictions. But speaking to Pharmafile the ABPI president Deepak Khanna said that it takes months and sometimes years for a pharma firm to come to this decision, which is almost always a result of global factors and/or patent expiries. Khanna said he would not comment directly on the pharma firms involved, but was sure that these decision were not made as a result of the new PPRS deal.